Technology has been marching forward in leaps and bounds over the past few decades. Thanks to this shift in the technological world, it’s incredibly important that your business is capable of utilizing all manner of online marketing. There was a time, not too long ago, when a business didn’t need to bother with online marketing. If the business had an e-mail address and a basic website, that was plenty. Yet these days, that’s not enough. Many businesses have decided to utilize SEO, or search engine optimization, as their first choice in online marketing. It’s not a bad idea, given how well it works to draw new and targeted traffic. It’s also functional from a business standpoint, because it allows a business owner to quickly and easily calculate the return on the investment when compared to other forms of online marketing. Not every SEO company has been able to handle the increased SEO service demand. Boca Raton SEO Company SerpHaus is not most SEO companies. For years, business owners have trusted our services. When you look at our history of delivering cost effective results, it becomes clear how we’ve earned that trust. 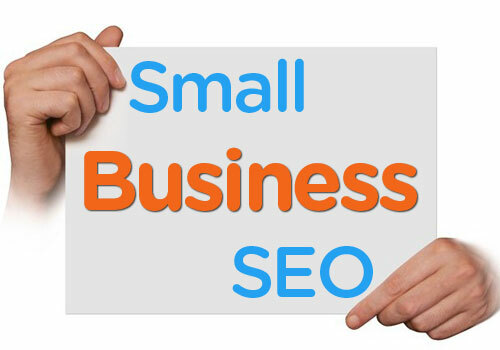 SEO is an incredibly enticing strategy for most businesses, due to the way it can target niche customers. Instead of throwing out more general marketing information, SEO draws in niche customers who are looking to buy. The higher your search engine ranking for any particular keyword search term, the more traffic you can expect your website to receive. And as you no doubt have already figured out, more targeted users clicking on your website means higher sales for your business. If you’re hoping to find targeted SEO articles that are both keyword relevant and highly optimized for your business, look no further than Boca Raton SEO Company SerpHaus. We also ensure that we create informative, keyword relevant title tags in order to increase traffic. When you have well optimized tags, you’re more likely to get people to click on your link. And this, in turn, brings more buyers to your website. SEO is an effective marketing strategy, there’s no question of that. Yet that’s not its only benefit. It’s also incredibly cost efficient. You don’t need to set aside a huge marketing budget in order to get solid SEO. SEO doesn’t work because it manages to put out huge amounts of information to a huge number of eyes and ears. Instead, SEO works because it knows how to target the specific users who are looking for specific things. This lets SEO strategies hit the customers you want, without having to worry about spending lots of money. Traditional marketing strategies, such as billboards and magazine ads, tend to go with the idea that the more people who see the marketing the more likely you are to hit the potential customers. That’s true, but it can be costly to hit enough potential customers to bring in the profit. SEO marketing, by contrast, targets a smaller number of people but ensures that those people are actually interested in what you’re selling. And of course, our company provides the ability to create a user-friendly website that helps distinguish you from other businesses in your market. This is because we try to ensure you get the full benefit of SEO marketing strategies. After all, what good is getting potential customers to come to your website if the website does not then explain why your product is better than any others? So if you’re looking for the best online marketing strategy available, look no further than SEO strategies. And if you want to get the best in SEO marketing, look no further than Boca Raton SEO Company SerpHaus.com.